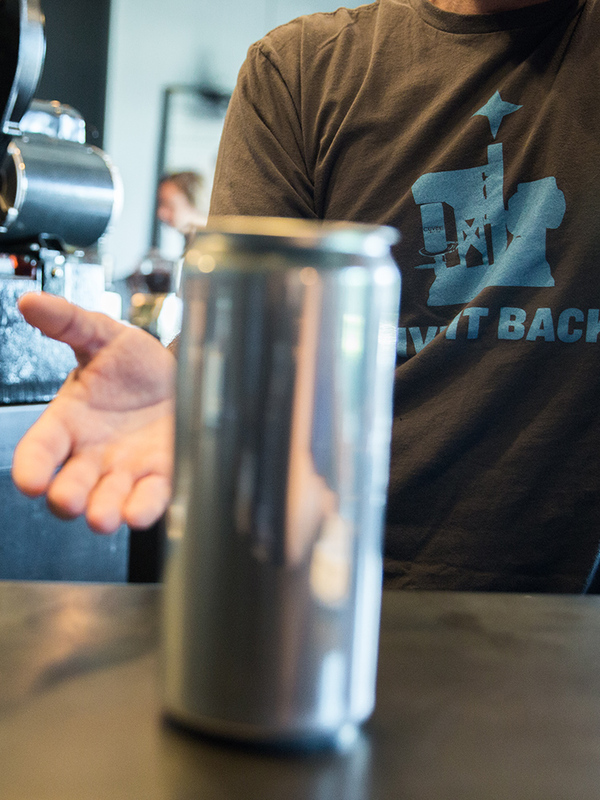 A local Austin coffee bar has been fighting the TABC since 2015 for the right to sell crowlers, aluminum cans filled with draft beer and sealed with a pull tab lid. Legislators are trying to prevent similar conflicts in the future. Mike McKim held an empty aluminum can under a tap and pulled the handle, filling the can with Real Ale Brewery’s Helles beer. He fitted a pull tab lid on top, slotted the can into his “crowler” machine, and pushed a button. He told the story of the equipment’s origins, invented by Colorado-based brewery Oskar Blues. Then the founder of Cuvée Coffee in Austin explained how the state of Texas took it away from him, fined him more than $30,000, kept it for months after judges told them to return it and sparked a lawsuit that cost him more than $40,000 in legal fees. McKim’s battle with the Texas Alcoholic Beverage Commission officially drew to a close on Thursday, when he got his crowler machine back after more than a year of separation. The coffee bar sold its first crowler since 2015 on Friday. And McKim’s story has inspired two pieces of legislation this session. McKim prefers crowlers to growlers, the reusable glass containers commonly used by brew pubs to sell beer to go. McKim likes the disposability of the can — after you’re done, crush it and toss it in the recycling bin. Cuvée’s dispute with the TABC began in July 2015, when a TABC field agent came into the bar investigating an unrelated complaint. The agent saw the crowler machine and asked what it was. After someone explained how it worked, she told them it was not allowed. McKim pursued the issue further, asking the agency what his options were. They told him he could either lobby the legislature next session, or he could wait for a citation to start legal proceedings and get an official answer on the legality of the crowler machine. McKim chose the latter. “We needed our ticket, so we made T-shirts and had our party,” McKim said. Cuvée Coffee celebrated their first anniversary in August 2015 with T-shirts depicting a crowler machine silhouette and the slogan “Come And Take It” printed on the front. The TABC came and took the machine on Sept. 29, 2015. McKim spent the next year fighting to get it back. He still stands by the decision he made to prod TABC into taking action. More than a year after the TABC took the crowler machine, a judge ruled that crowlers were not prohibited by state law. 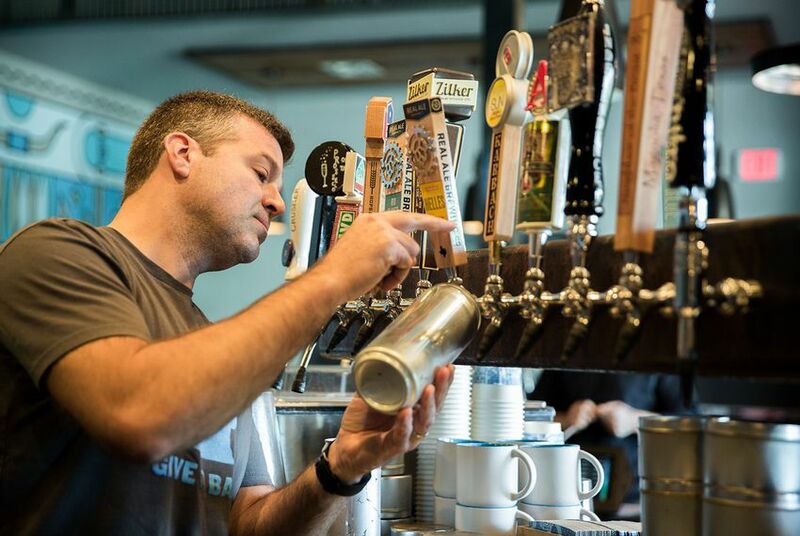 Cuvée Coffee’s story became the impetus for HB 908, which allows draft beer to be sold for off-premise consumption in both crowlers and growlers. Its author, state Rep. Ramon Romero Jr., D-Fort Worth, wrote a letter to TABC Executive Director Sherry Cook early March this year admonishing the agency for its failure to return Cuvée’s machine months after a judge ordered them to do so. On Monday morning, McKim testified in support of SB 813 and told the Senate Affairs Committee he had to spend $41,300 fighting the TABC over the crowler machine. Sen. Bryan Hughes, R-Mineola, said he filed the bill to give individuals and businesses the ability to sue regulatory agencies for unreasonable regulatory actions. He hopes it will deter agencies from pursuing potentially frivolous regulatory actions. TABC spokesperson Chris Porter declined to comment on the specifics of the crowler case, but said both Cuvée Coffee and TABC got a fair hearing. For McKim, the most frustrating part of the past year and a half was the lack of communication. On Friday, Cuvée Manager Christine Clutton prepared to train the baristas who’ve never seen the crowler machine. “This lever should be facing you,” she said as she demonstrated how to set a can into the sealing machine. She walked through the same steps that McKim did earlier, placing a lid on top and wiping the can down after it was sealed. One of the baristas filmed the demonstration on her phone, getting in close whenever Clutton pointed at a button or shifted a lever. Clutton finished the training session by wrapping the can in a sticker label, with the beer’s name and alcohol content written on the side. She held it up to the phone camera, smiling. “Beer!"